Better endless sunshine, better than being at the beach or in the pool all day and better than round after round of backyard cricket is the amazingly fresh produce that comes with an Australian Christmas. 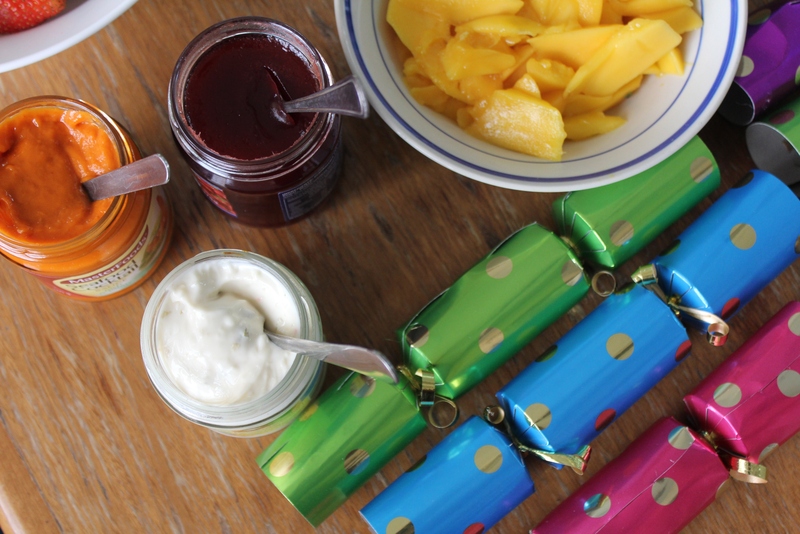 We can’t have a white Christmas and sip Gluhwein at quaint markets but we can enjoy stodge-free food that doesn’t have to be cooked for hours on end. Although many people do slave over hot ovens for a roast. 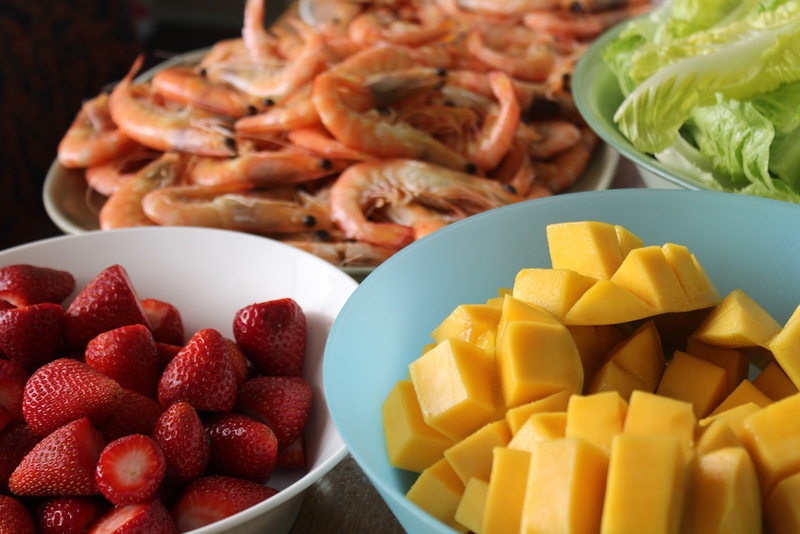 Prawns, smoked salmon, oysters, cherries, strawberries and mangoes are my favourites. We had our work Christmas lunch this week. 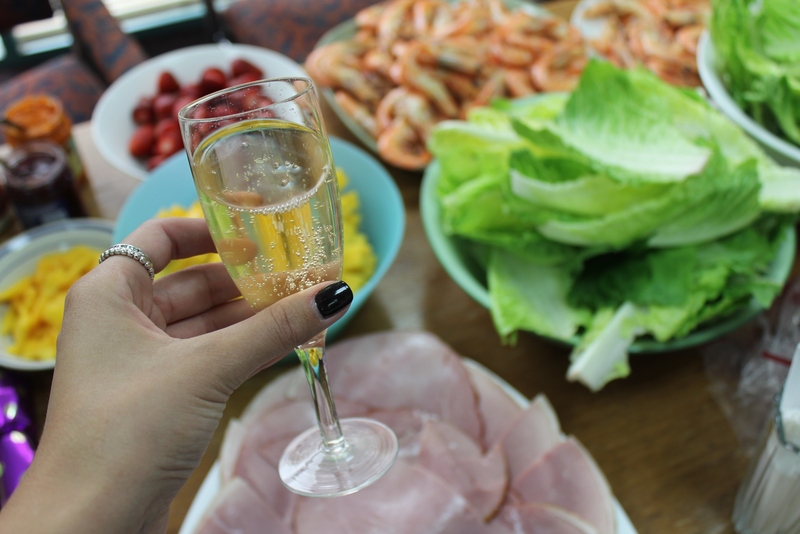 With an office of only six we don’t have outlandish parties, but on Wednesday we did get to enjoy damn good food and a glass of sparkling. The only downside being the Christmas cracker hats were too small to fit my abnormally large head. The jokes didn’t disappoint though. What do you call a boomerang that doesn’t come back? I’m not sure what I’ll be eating for real Christmas yet, it’s still too far away. Do you know? I’ll probably make my choc cherry cheesecake again though. Tonight the play I’m in opens. We have 9 shows, two of which I will miss because I’m flying to Brisbane on Sunday for a week. Any tips for places to eat and shop near South Bank would be greatly appreciated. My housemate Bec and I will put up our tree on Saturday, after being heavily influenced by a Kmart catalogue we’re going for silver and gold which sounds super tacky but I’m sure it will look amazing. Maybe. This entry was posted in Food and tagged Christmas, Food. Bookmark the permalink. Bec, I used to travel to Brisbane often for work. I can recommend the Gallery of Modern Art, the traditional gallery and the state library for a visit. Will you be returning to a Melbourne Christmas this year? Unfortunately I won’t have time for gallery or museum visits. Not this year, no. Ohhh Christmas food in Australia, the BEST!!! 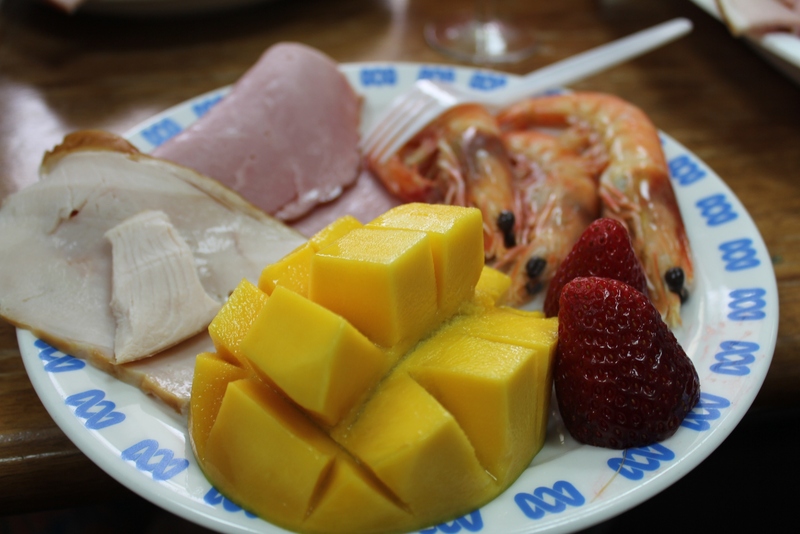 Almost sad to be missing real Christmas here this year, but very thankful the families are putting on early Christmas so I don’t have to miss the prawns and mangos and all the rest of the goodness! Can’t wait to see how the tree turns out! You will be in the States, is that right? That will be amazing! !